Bread is most likely humanity’s oldest prepared food item. Versatile, adaptable, resourceful, multifaceted, and multicultural too. The earliest recorded time reporting the presence of flour in Europe was 30,000 years ago. 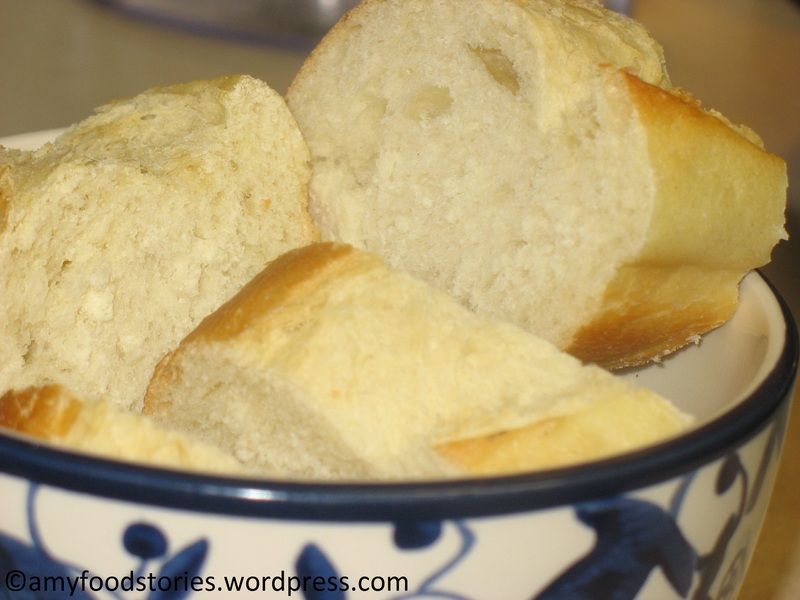 Bread was part of the table service in medieval Europe. It was used as a trencher or plate charger, while it absorbed all the saucy components of the meal. At the end, it either ended up being consumed by the guest, by the poor, or given to the dogs. Wooden plates only surfaced around the 15th century. I think something from the trencher days remains today: Soup on a bread bowl. Delicious! Often I wonder what would I do without bread. I have bread for breakfast almost every day. Sandwiches are my favorite light lunch option, regardless of season or place in the planet. Finally, there is nothing better than a warm piece of fine bread to go with any beef cut or pasta. When I go shopping I find myself picking up at least 3 or 4 kinds of breads. 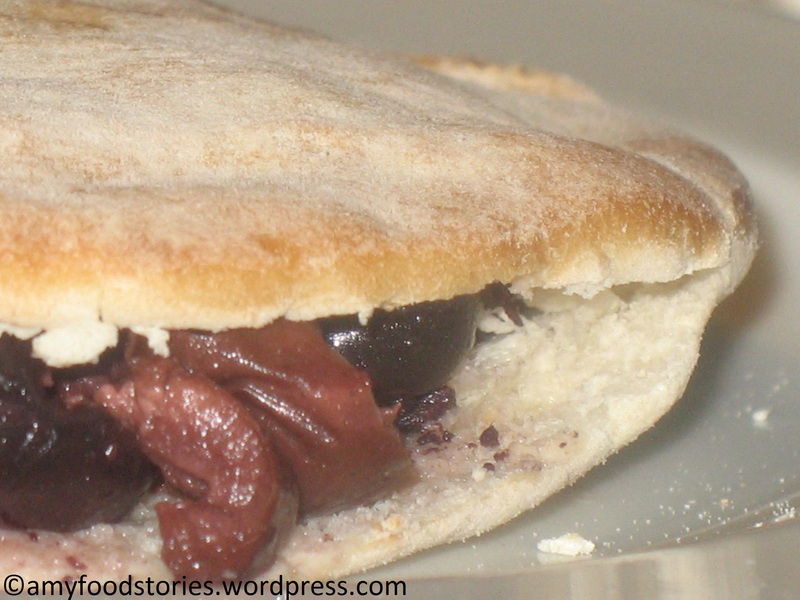 Here is my favorite: Pita bread with black olives! 🙂 My Dad had his own version where he mashed all the black olives with a fork, ending up with a paste. He taught us to eat it by simply spreading over pita bread ‘for breakfast!’ We learned to love it. Why wouldn’t we? I am teaching my kids to eat it too.. So far, 2 thumbs up from them as well.